1904 built for W.A. McGregor for the Mangawai run. 1905 sold to Settlers Company. 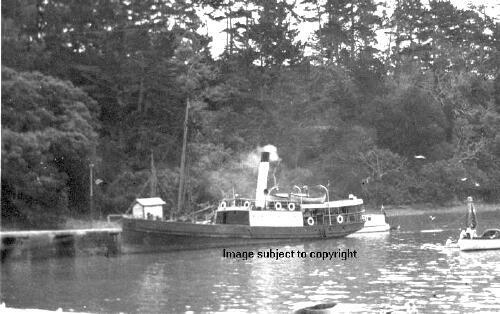 1931 sold to South Westland Shipping Company and converted to a motor ship. 1941 January 28th chartered as H.M.S. GAEL. 1941 April 27th returned to South Westland Shipping Company. 1948 sold to Southern Cross Shipping Company. 1952 April 18th wrecked on Beef Barrel Rocks on passage Motueka to Nelson. No loss of life.